The skeleton is the rigid framework that gives a body its general shape, but on its own, it is incapable of movement. 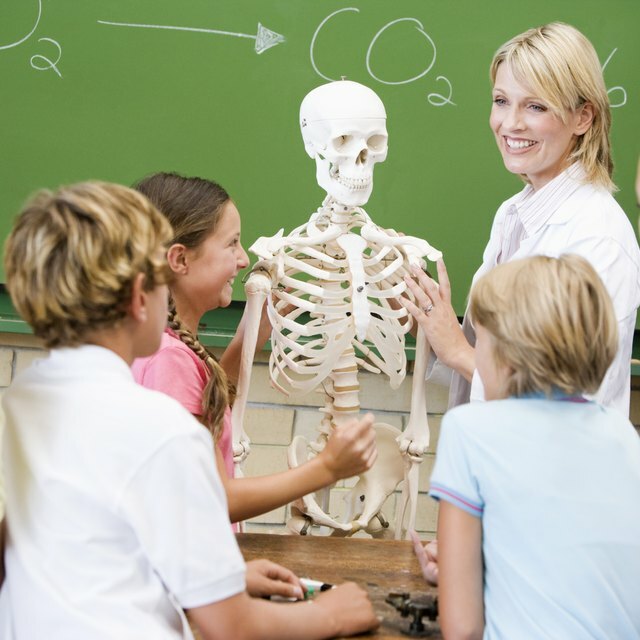 What makes a skeleton move is the contraction and relaxation of muscles connected to it by tendons. Skeletal muscle is striated, which means it consists of long cylindrical fibers bunched side by side. Many fibers make up a single muscle, and what is commonly thought of as a single muscle is actually several muscles working together as a group. 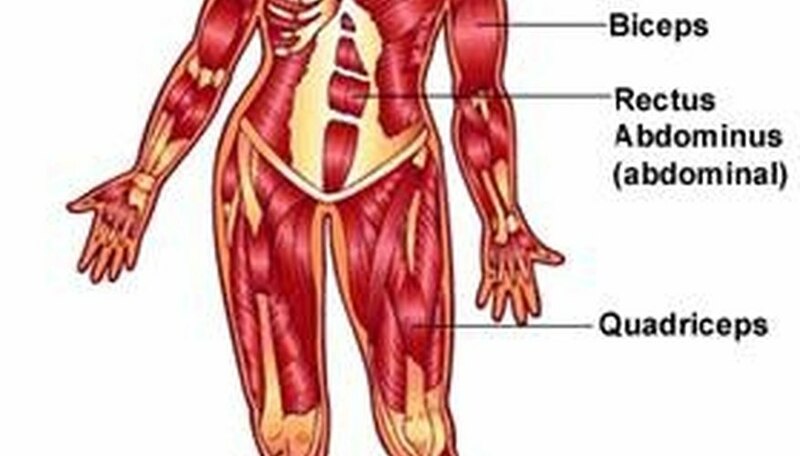 Skeletal muscles make up about half of normal body weight. Every joint between two bones has muscles that reach across and connect to each bone. 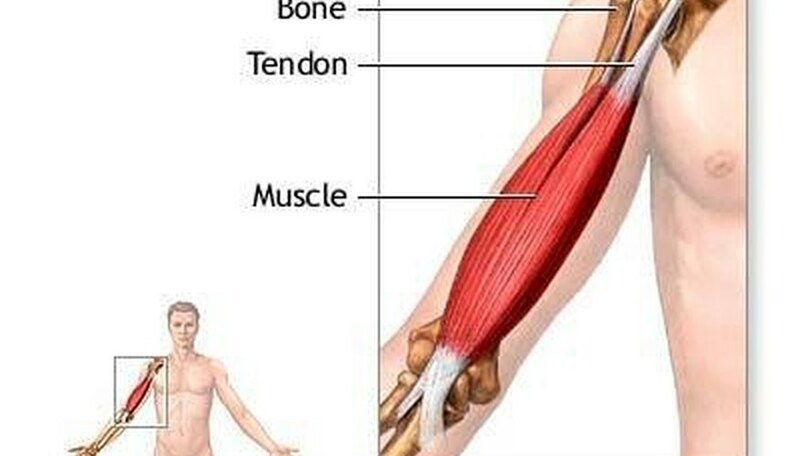 These skeletal muscles come in pairs like, for example, the biceps and triceps of the arm. When the biceps contracts, the two major bones hinged at the elbow move so the hand approaches the shoulder. At the same time, the triceps relaxes and lengthens, allowing the movement. To reverse direction and straighten the arm, the triceps contracts and the biceps relax. The skeletal muscles are connected to the bones by tough fibrous filaments called tendons. These sinews are capable of withstanding the tension placed on them when the muscles contract, and transferring the energy to the bones. The Achilles' tendon is one of the largest and best known, connecting the heel with the calf muscles in the leg. Though muscles are the means by which a skeleton moves, the origin of the movement is in the brain, which is connected to all parts of the body through the nervous system. Nerves are like tiny electric wires capable of delivering an electric charge. Muscles, as explained, have a binary function--they are either tensed or relaxed. 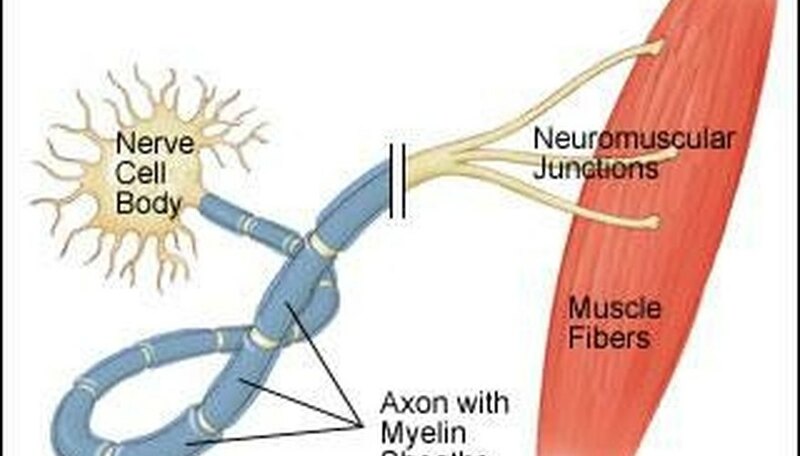 Electric stimulation from the brain along the nerves causes the individual fibers of skeletal muscles to shorten, making the entire muscle contract. More precisely, the neurotransmitter acetylcholine triggers a chemical reaction within groups of muscle cells that induces contraction. The more muscle cells recruited to contract, the stronger the force generated. The contraction of the opposite muscles pulls the contracted muscle back to its original shape. Skeletal muscles, unlike cardiac and other muscle types, generally move voluntarily, though they can move involuntarily as a reflex. What Molecule Supplies Energy for Muscle Contractions? Nicholson, Joseph. "What Makes a Skeleton Move?" Sciencing, https://sciencing.com/what-makes-skeleton-move-4574566.html. 24 April 2017.